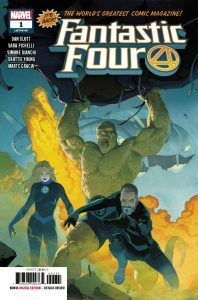 Pick up Fantastic Four #1 at Fourcorners Comics & Games THIS Wednesday, August 8th! 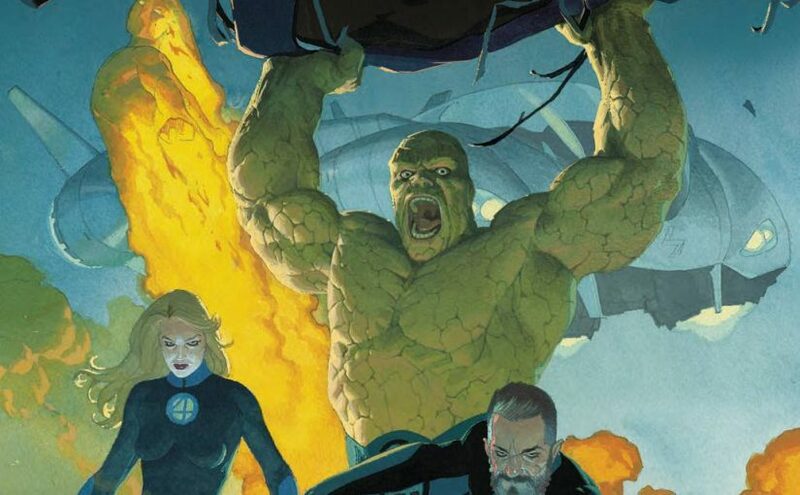 Just 2 weeks after Disney and Fox announced their historic merger (see At the Comic Shop in Saturday’s Gettysburg Times), the Fantastic Four return bringing with them many of Marvel’s best villains and plenty of speculation about their place in the Marvel Cinematic Universe (MCU). Will questions be answered about Marvel’s new direction for the MCU after re-acquiring the Fantastic Four’s movie rights? Regardless, it will be refreshing to see Marvel’s cornerstone team back saving the world! Pick up a copy of Fantastic Four #1 on Wednesday, August 8th at Fourcorners Comics & Games. We’ll have a free Fantastic Four-themed gift with purchase while supplies last! Check out this and other great titles hitting the shelf this week!